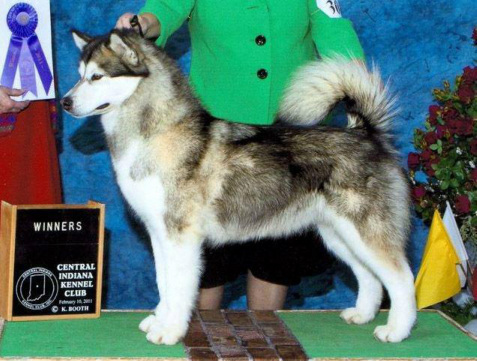 Ricki is one of the sweetest malamutes I've ever owned. She earned her first point her first weekend out as a 6-month-old. She's currently being shown and we hope to finish her championship soon. Her brothers Colonel and Riot are pictured on the extended family page.